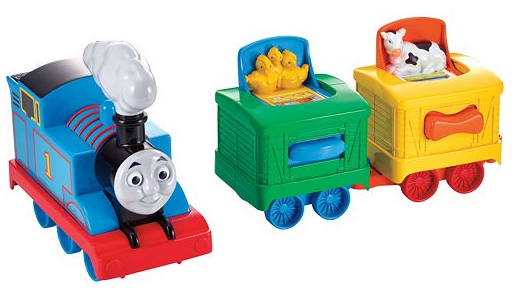 Fisher-Price Thomas Activity Train Set Just $10.55 Down From $32.99! You are here: Home / Great Deals / Christmas Deals / Fisher-Price Thomas Activity Train Set Just $10.55 Down From $32.99! Here’s a great Christmas gift idea! Fisher-Price Thomas Activity Train Set is just $10.55 down from $32.99 from Kohl’s! Get yours now before it’s gone! Choo Choo! All aboard for an exciting playtime experience with Thomas & Friends. This Thomas Activity Train from Fisher-Price will keep your little one curious and entertained.